The purpose of this post is to show you how much my hair grew last year. Hopefully this proves that the tips I give you actually work for my hair. Last year, for whatever reason, I thought my hair wasn’t growing. I found myself whining to my boyfriend throughout my entire pregnancy about my hair. I had done the bare minimum of washing and conditioning it and keeping it in a protective style. 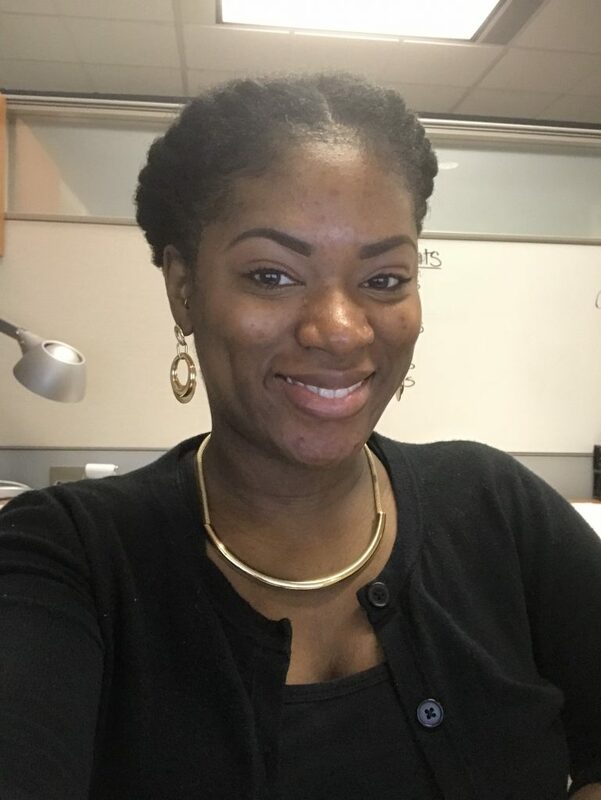 When I finally took out my spring twist (read about this protective style here), I noticed that my hair had really grown! I was shook. It’s funny because I know that my hair grows. In fact almost everyone’s hair grows. That’s usually never an issue. The question is whether or not you are retaining length? And that was the big question I was asking myself. Had I retained length this year? 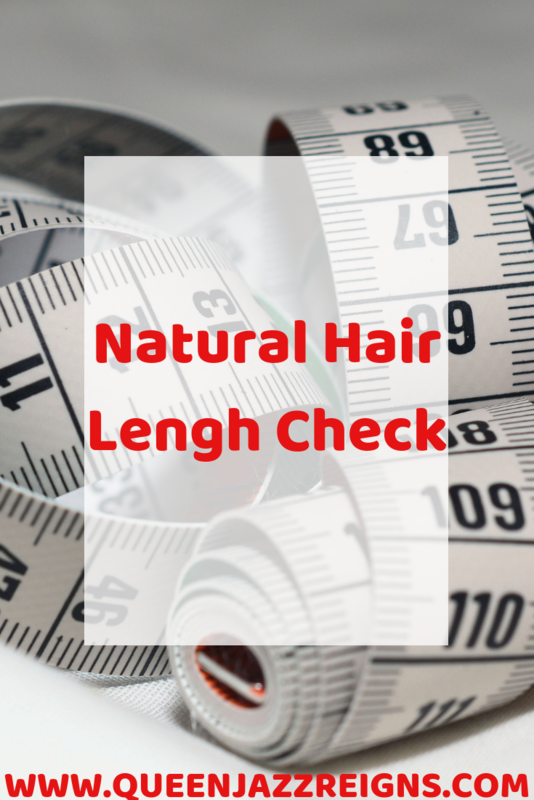 What is a length check? A length check is exactly what is sounds like. Its when you are use two or more different time periods to determine, or check, if there is a change in the length of your hair. 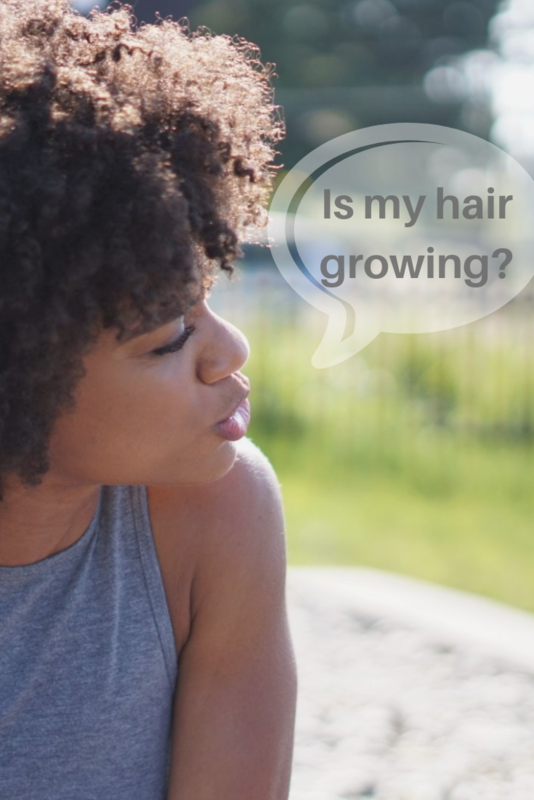 I believe this practice is normal in the natural hair community for men and women who want to see how their hair is doing – if their goal is length retention or maintaining healthy hair. How to perform a length check? A common way to determine if your hair has retained length is to use pictures. Some people buy actual length check t-shirts. This allows them to see where their hair stops on the t-shirt (on their body) in a before-and-after type of view. If you don’t have a shirt like that it’s okay. You don’t need one. Take a picture of your hair (you stretching your strands) to see where it stops in relation to your head or body. You want to do this once at the beginning point and again at another time, which will be your ending point so that you can compare them. For example, my beginning point was (unofficially) in November 2017 and my ending point was in December 2018. In the December 2018 picture I was gently pulling my strands straight down in order to see where it’s stopped on my body. You can see it’s at my collar bone (yay!!). Below is a side by side picture of my hair from November 2017 and December 2018. As I mentioned, it’s unofficial to me since I am not stretching my hair, or showing exactly where it stops, in the November 2017 photo. But, since I got my hair cut in November 2017 and it is straightened, you can clearly see where it stops on my head. In the December photo it’s only stretched, which is okay, but it’s easier to determine length retention of your hair if it is in the same state you began the process in. So for my example, I could have straightened my hair to best determine if I retained length or not. It appears that my hair grew about 4 inches in length over the span of one year. I can only guess since I didn’t measure using a ruler and because it’s unofficial. However, I used my chin as a guide). This is pretty good since most sources say that the average person’s hair grows about half an inch every month. So in one year most people retain 6 inches if they don’t have any breakage. However, instead of 6 inches, I probably retained a little more than half of that. Here are pics with my fro. What helped me retain length? I would like to think that leaving my hair alone (low manipulation) and protective styling contributed to my hair growth and may be why it didn’t break off a whole lot. 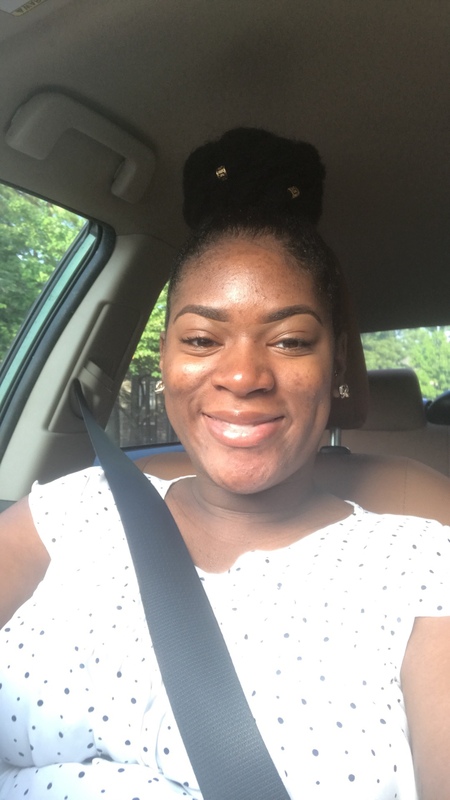 During my pregnancy I wore my two flat twists when my hair was out and Marley twists or some kind of protective style all the way up to postpartum. 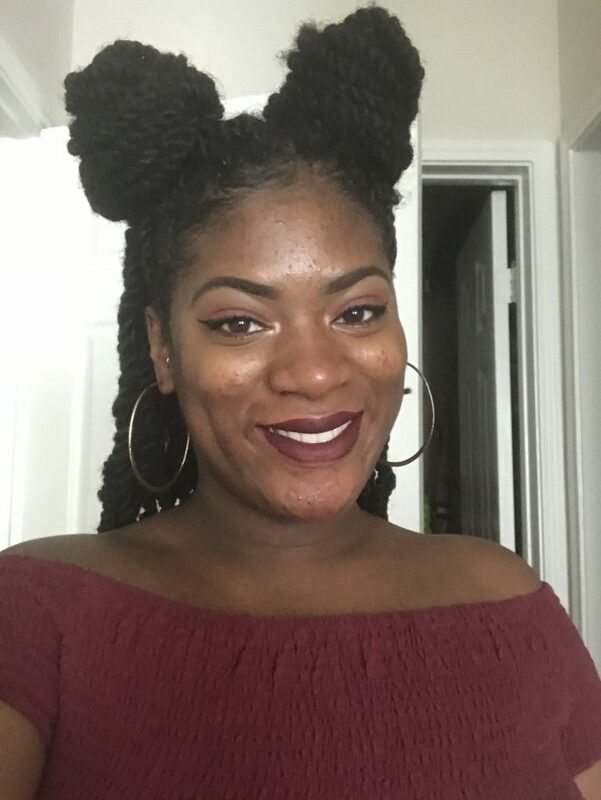 Click here to see protective styles that I love to wearing. Below are some pictures of me (while pregnant) with some protective styles. Me (pregnant) wearing my two flat twist. Me (pregnant) wearing Marley twist. Me (pregnant) wearing a faux bun using weave. In case you’re wondering, this polka dot shirt was one of the few shirts that fit me throughout my pregnancy and I like it, so don’t come for me lol. Anyway. 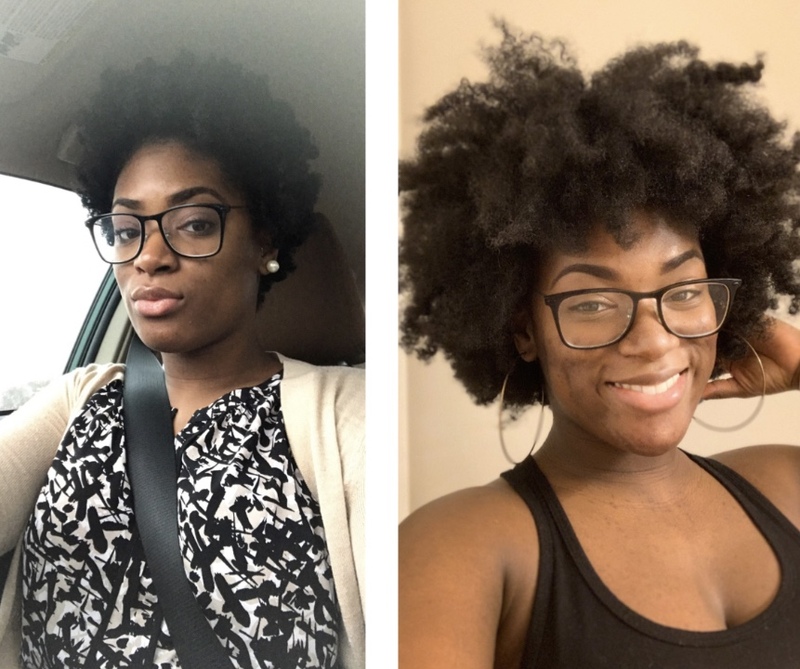 My hair routine and the products I use, do my hair good overall. My goal this year is to retain 6 inches. If I do, y’all won’t be able to tell me ‘nothing! When was the last time you did a length check? Are you retaining length? What are your hair goals? Hey! I'm Jasmine but most of my friends and family call me Jazz. This blog is me grabbing life by the reins and taking control! I will not continue living my life doing what I think people want me to do, I am letting go and setting myself free! This blog will be my story. I am documenting my life as I embark on my new journey. 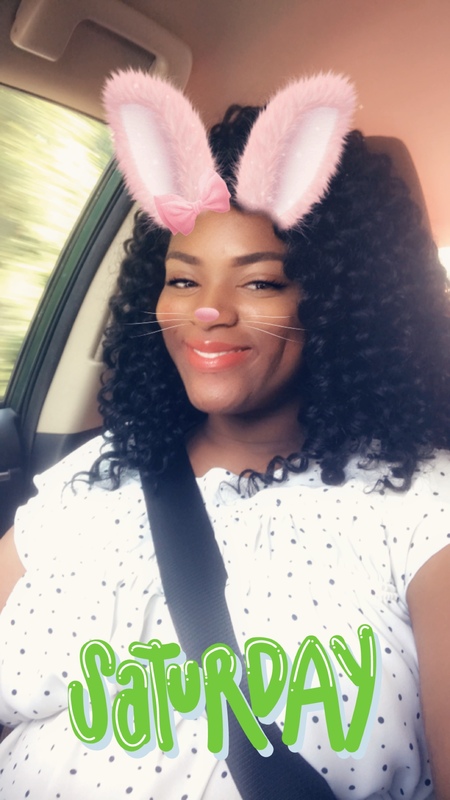 I welcome you as you I become debt free and financially independent, open up to you about my natural hair care, and share some of my experiences as a first time mom and blogger. 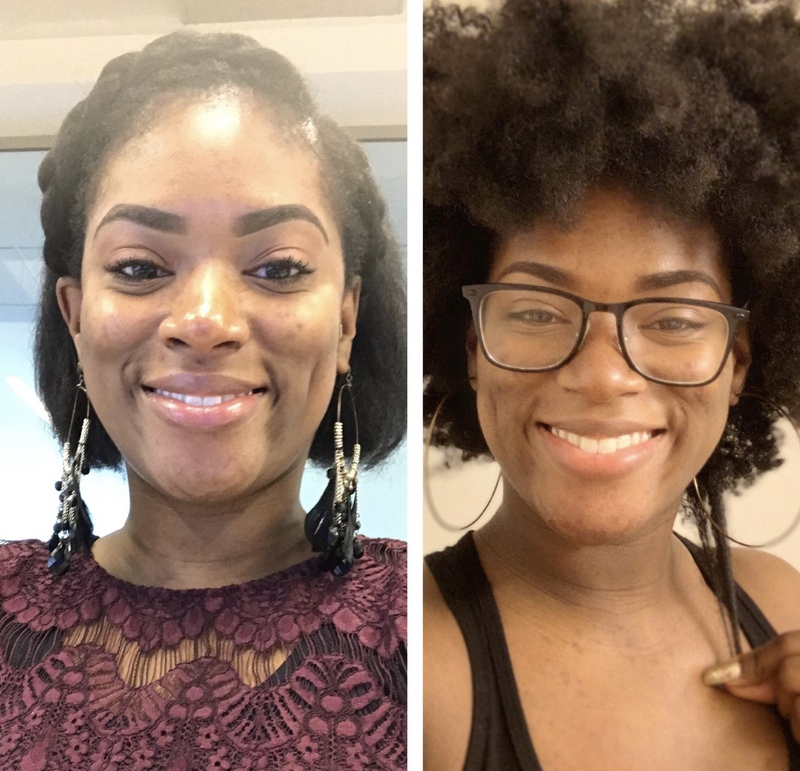 Spring Twist - As a Protective Style?